BlueLife Hosts Editor is a lightweight utility aimed to easily manage your Hosts file, allowing you to add, delete, block and update domain names. The program can also flush the DNS cache, rebuild the default Windows hosts, and backup/restore the Hosts file. How to extract: Download the ZIP package and extract to a folder of your choice. Launch HostsEditor.exe. Last time I tried it, I was unable to redirect domains to 0.0.0.0 (an invalid IP, I know, but enabling much snappier redirection). Apart from that, it works well -- but there are other similar options. 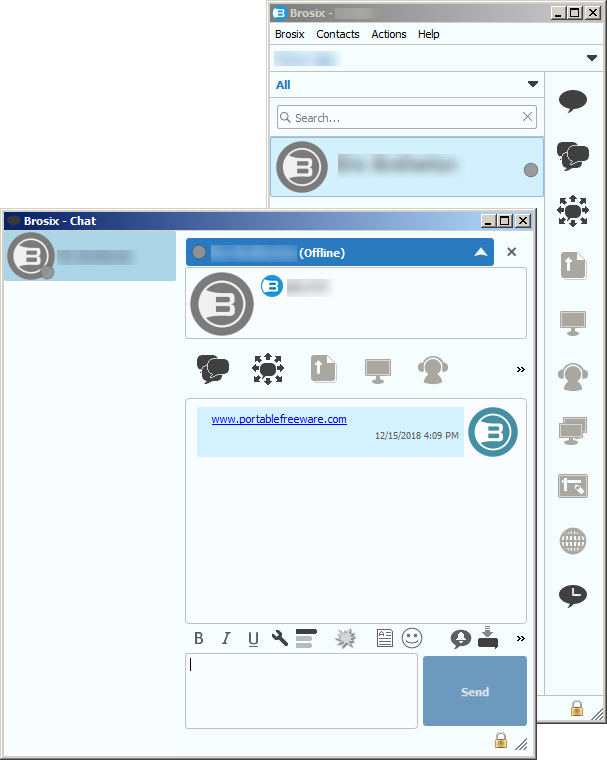 Qualia LAN Messenger is a secure instant messaging and file transfer application for communication over a local network. It does not require a server or an internet connection. 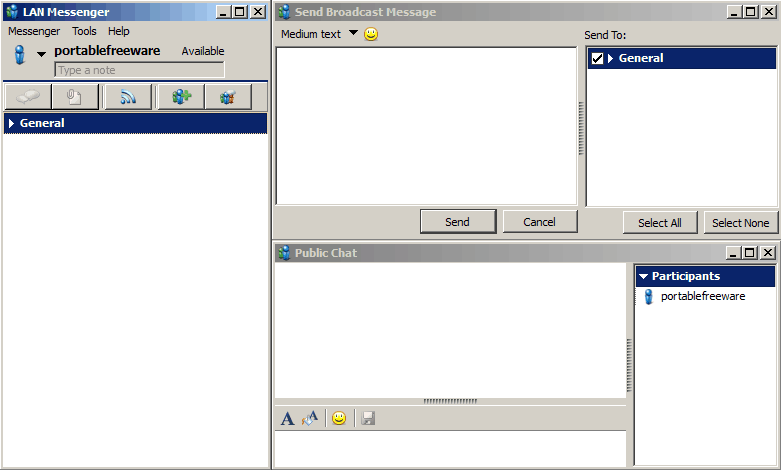 Also includes text formatting, event notifications, broadcast messages, chat rooms, themes, message logging, and more. The program can function as an alternative to standard instant messaging tools or for ease of communication or file sharing when the Internet isn't available. Cross-platform supporting Mac and Linux. How to extract: Download the self-extracting EXE to a folder of your choice. Launch LanMessengerPortable.exe. Can't find what you are looking for? This list shows entries with Security - Miscellaneous as a supplementary function. You can view more entries with Security - Miscellaneous as a primary function.